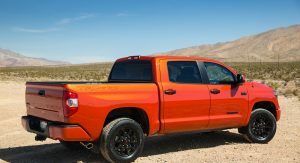 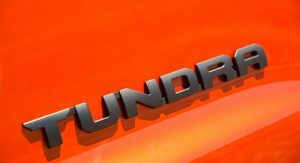 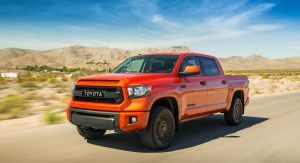 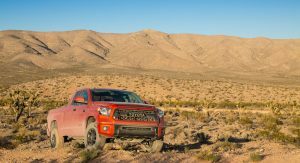 Toyota’s off-road oriented Tundra TRD Pro pickup truck has been priced from $41,285 in the United States, excluding a $1,100 delivery, processing, and handling (DPH) fee. 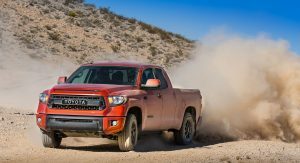 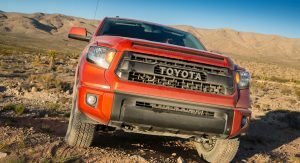 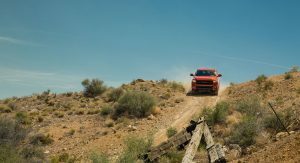 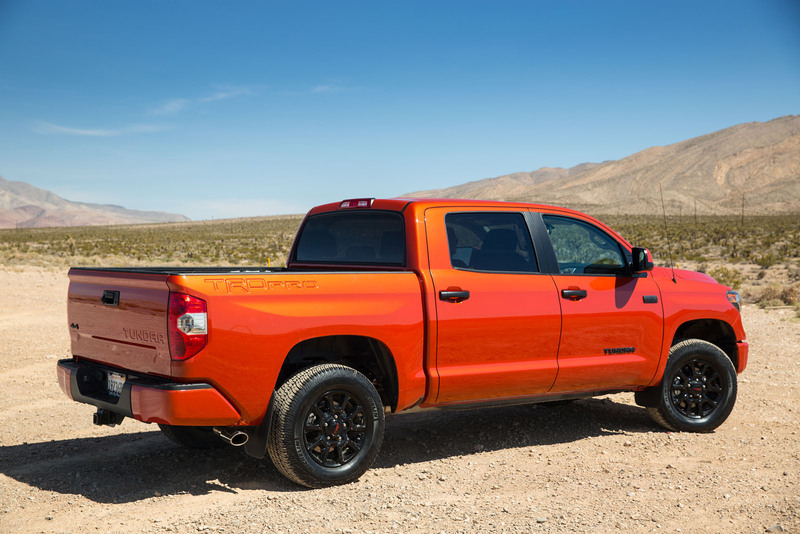 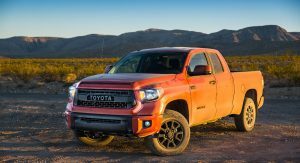 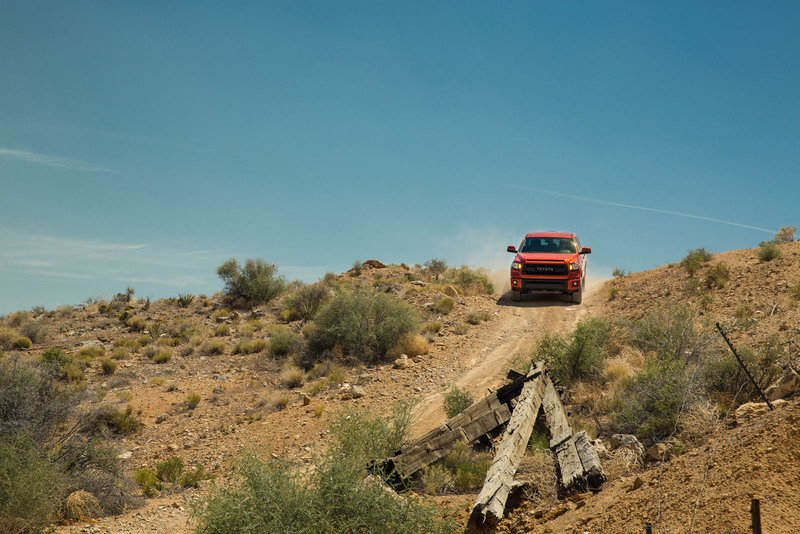 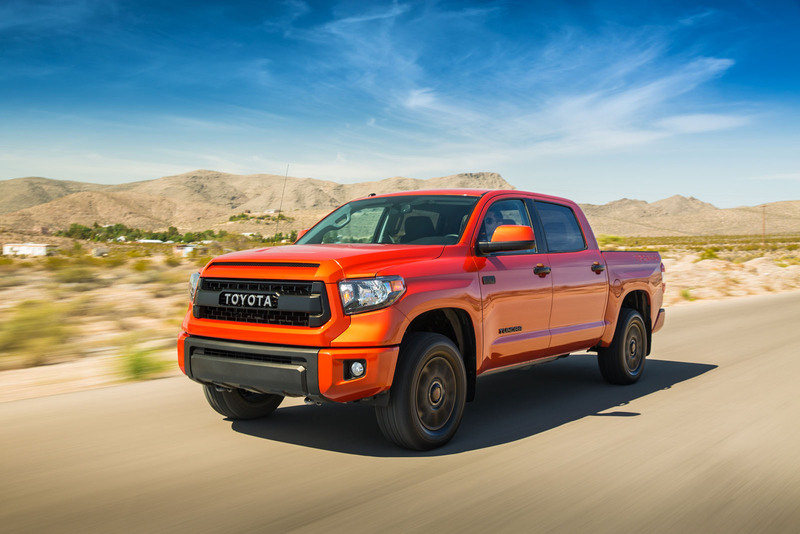 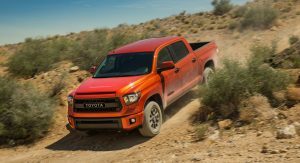 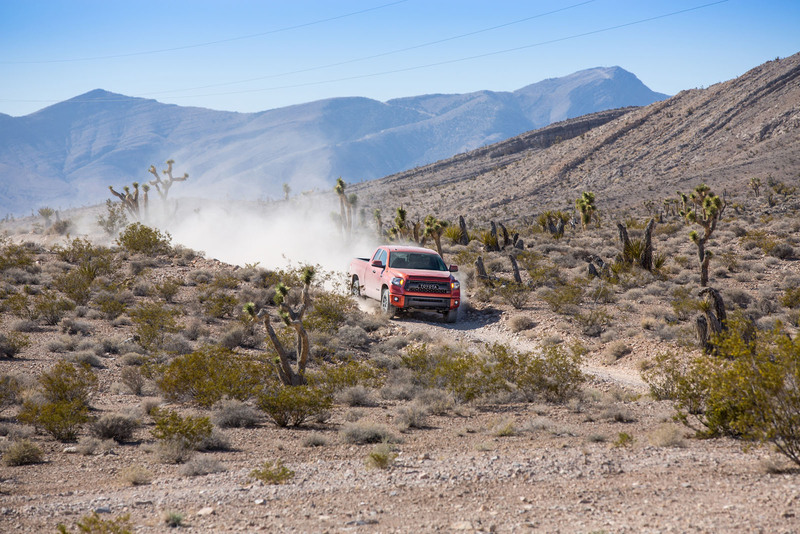 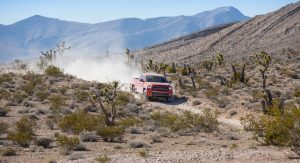 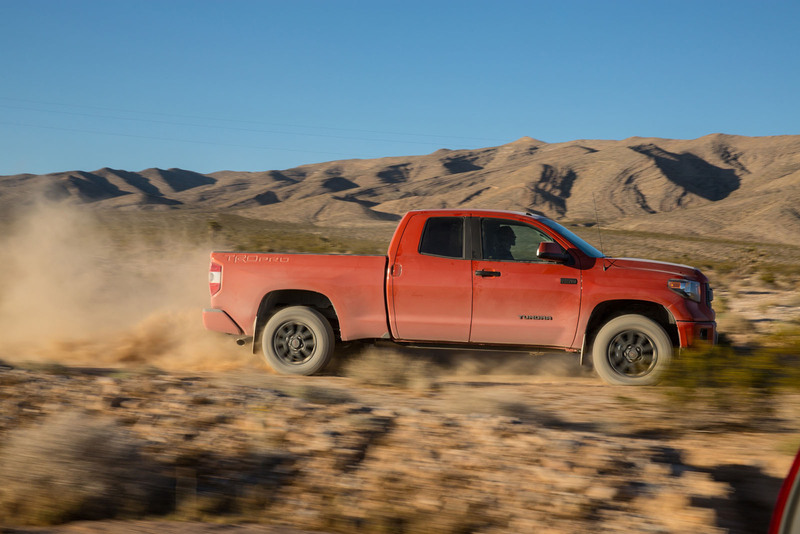 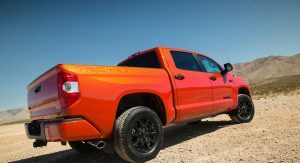 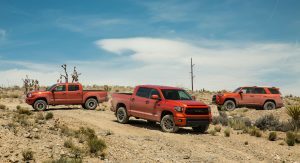 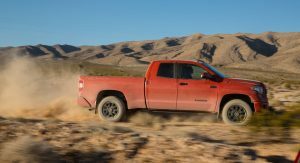 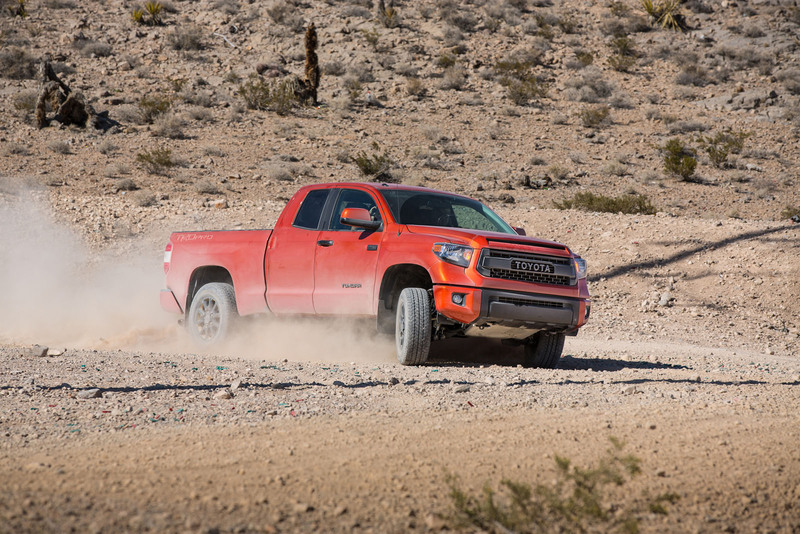 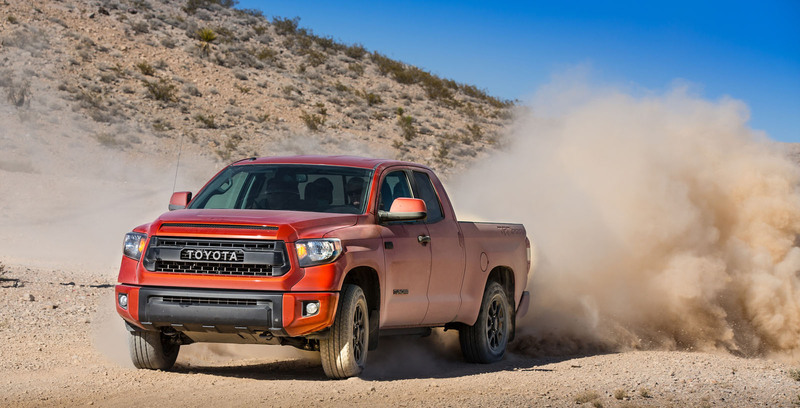 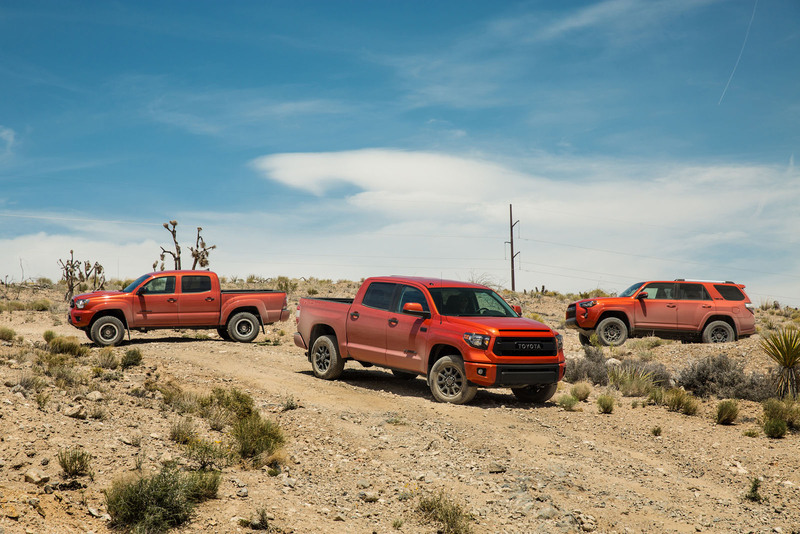 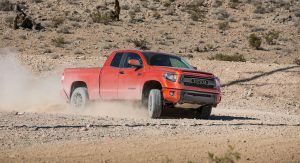 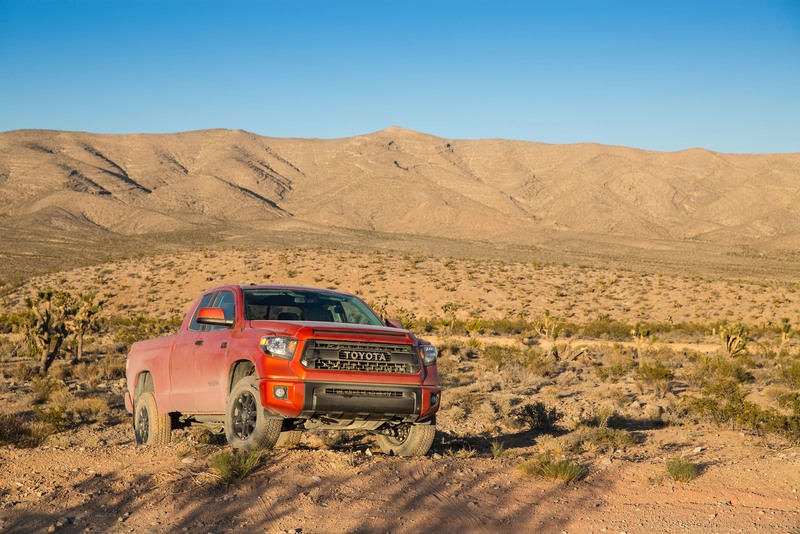 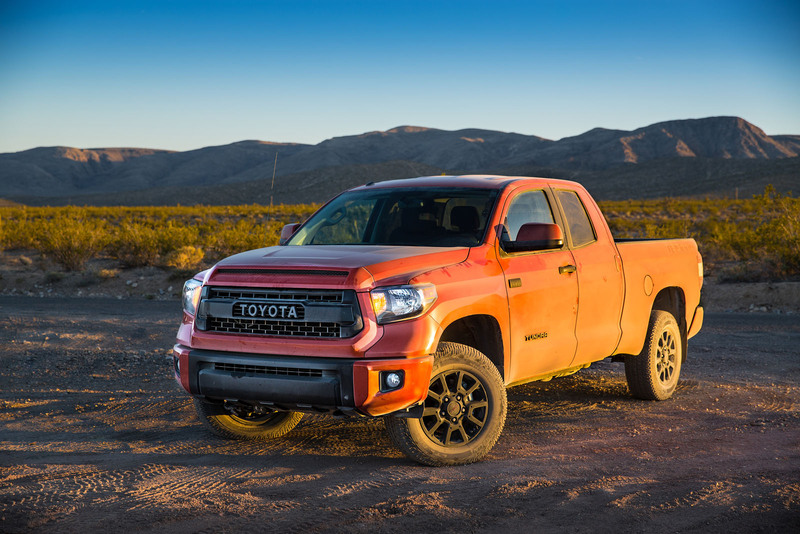 Featuring an aggressive off-road package designed by Toyota Racing Development (TRD), the Tundra TRD Pro will reach dealerships in late September 2014, joining its Tacoma and 4Runner TRD Pro Series counterparts. 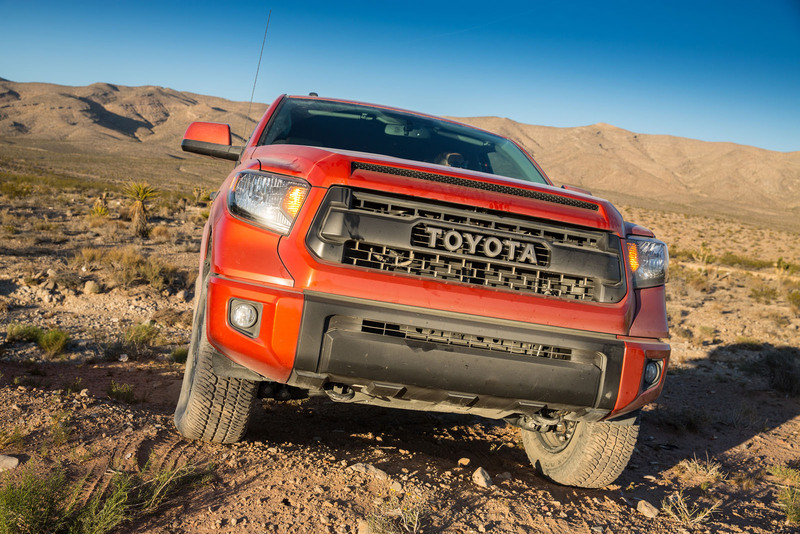 All TRD Pro Series vehicles are equipped with TRD Bilstein shocks with remote reservoirs in the front and rear (for increased oil capacity and suspension travel), TRD-tuned front springs, unique front grille with “TOYOTA” badging, TRD floor mats, TRD shift knobs and black TRD alloy wheels. 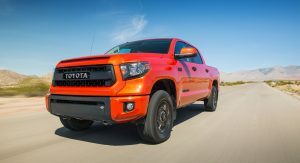 Available either as a Double Cab or CrewMax (the latter priced from $43,900), the Tundra TRD Pro also gets exclusive equipment including TRD front skid plate, TRD-tuned springs with 2-inch lift for the front of the vehicle, decreased spring rate to improve ride quality over harsh terrain and all-black 18-inch TRD alloy wheels with Michelin Off-Road tires designed exclusively for Tundra. 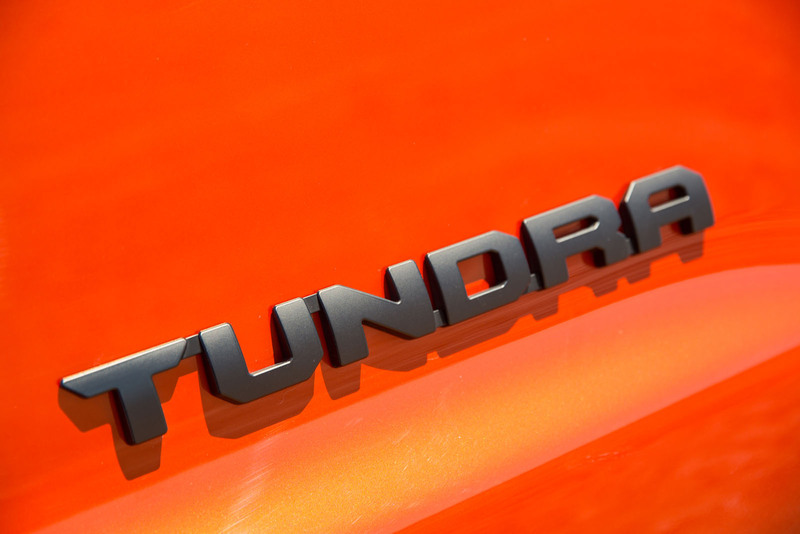 Other features that distinguish it from regular Tundras are the TRD Pro quarter panel bed stamping, multi-reflector halogen headlights with black sport bezels and manual level control, unique interior seat color with red stitching and unique TRD Pro instrument panel ornament insert. 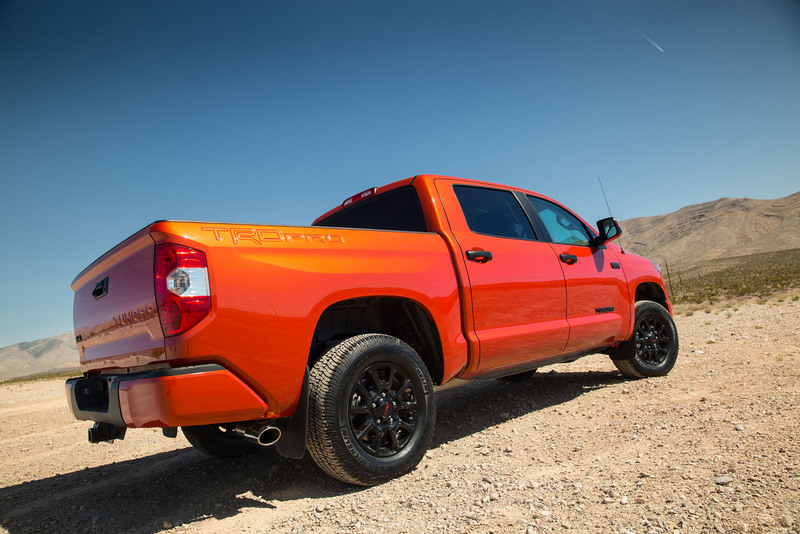 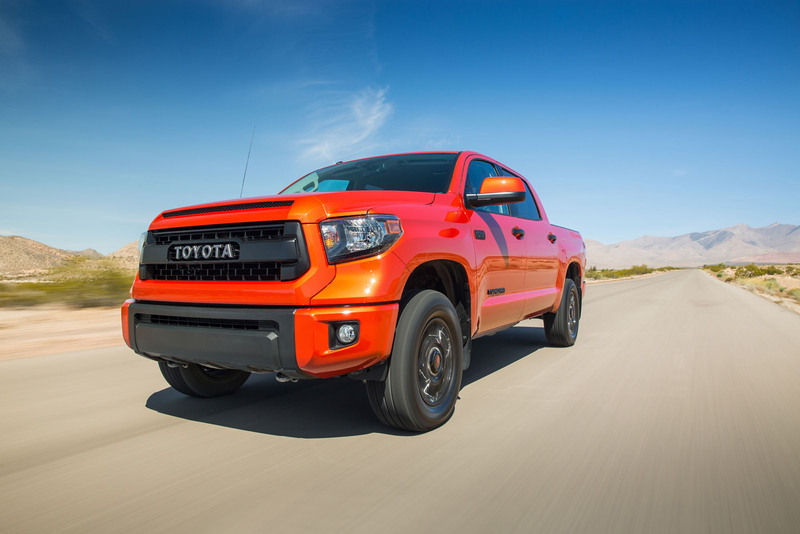 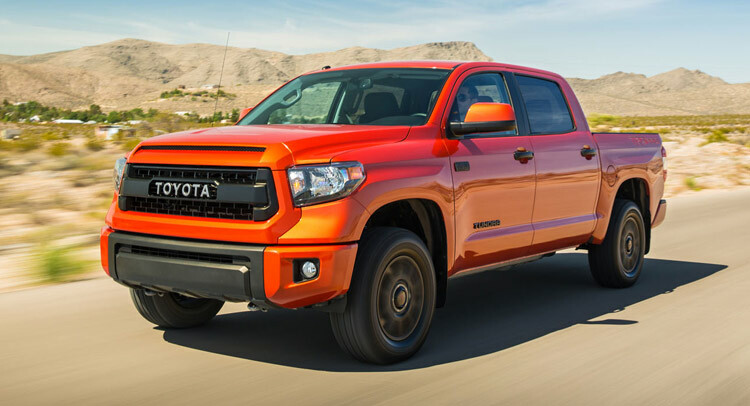 The 2015 Toyota Tundra TRD Pro is available with three colors: Inferno, Attitude Black Metallic and Super White. 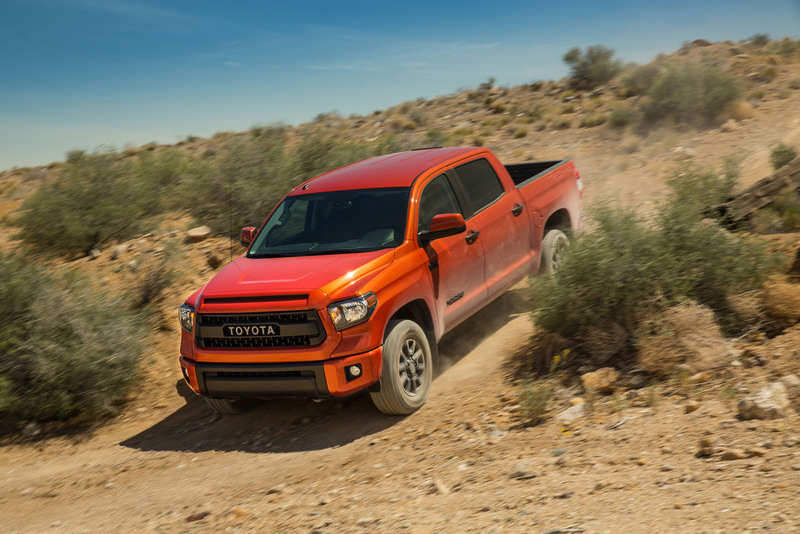 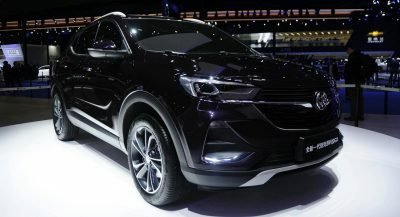 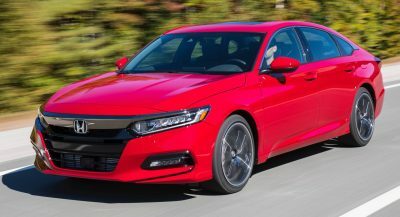 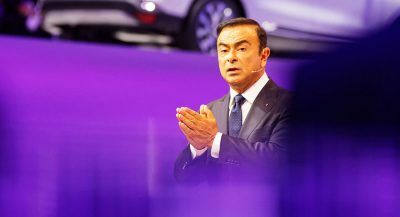 Power comes from a 381hp 5.7-liter V8 with a TRD dual exhaust system, mated to a six-speed automatic transmission.